Tanzania is known as the world’s most breathtaking safari destination. It is a country of incredible natural beauty with a fantastic range of landscapes and attractions. Home to the world famous Mount Kilimanjaro, Ngorongoro Conservation Area, Selous Game Reserve and Serengeti National-Park, it is exceptionally rich in wildlife. Moreover, Tanzania is the home of the worldwide unique nature phenomenon – the great migration. ZanTours is Expert for Safaris in Tanzania and moreover has best access to domestic flights through our sister airline ZanAir. All Tanzanian National Parks have airstrips, that accommodate small planes. Hence they are also easy to access directly from and to Zanzibar. We are operating safaris in English, Deutsch, Español, Français and Italiano. Tarangire is the sixth largest national-park in Tanzania covering 2,850 square kilometers, in Lake Manyara region. The name Tarangire originates from the Tarangire River, which flows through the park. It is the only source of water for animals during the dry season. Tarangire is famous for having many elephants, baobab trees, as well as the rare tree climbing lions. It is also home to over 500 bird species and other animals. You will see olive baboons, giraffes, zebras, wildebeests, the dwarf mongoose and many other species. In 2015, rangers spotted a white albino giraffe. Tarangire is also famous for the big termite mounds in Tanzania. It can be reached by car from Arusha in about 2 hours. Lemala Mpingo Ridge sits on top of an escarpment with sweeping views across the perennial Tarangire River and valley below. Each of the 15 spacious tented suites have been carefully positioned to maximize not only the sensational views over Tarangire but to also take advantage of cooling breezes during hot weather. The elevated main area has a large lounge and bar, indoor and outdoor dining areas, a spa and swimming pool. Sun-downers, early morning walks and game drives in new custom-designed vehicles accompanied by Lemala’s highly-knowledgeable and experienced safari guides are some of the activities guests can look forward to during their stay. You need to experience this place, as it brings the safari experience on Tanzania to a whole different level and we call it magic! Set in the remote southern reaches of Tarangire and within easy reach of the Silale swamps, Oliver’s Camp is an echo of the early days of East African safaris. 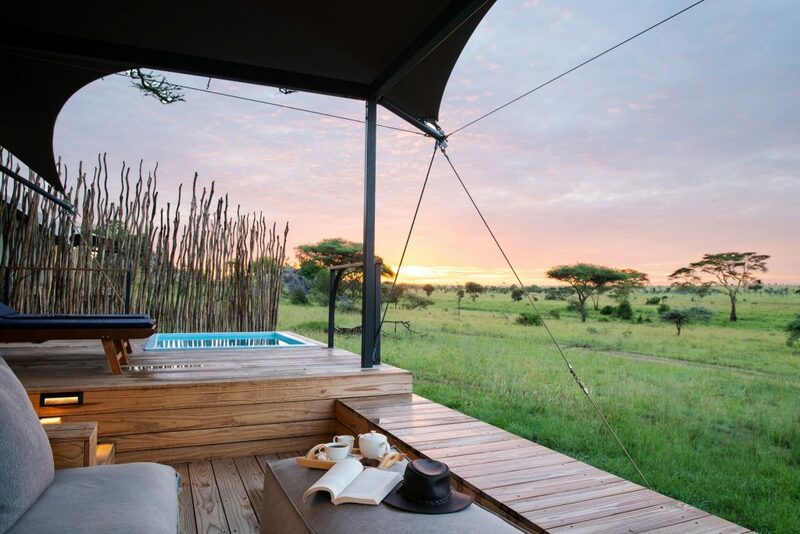 Alongside Oliver’s ten en-suite tents, Little Oliver’s offers a more intimate safari with just five exclusive tents. Both camps are perfect for those searching for genuine safari experiences in the unique, baobab-filled landscape. When you enter the public area – you know where the property has its name from. It is the beautiful view over the Lake Burunge with all its wildlife is what you can expect. The property is strategically located in the natural corridor between Manyara and Tarangire, moreover only 10 minutes from the Sangaiwe Gate of Tarangire. Lake Burunge Tented Camp is the perfect place to relax in comfort after a day of game-drives in Tarangire, simply carried away by the breeze and the colors Tanzania’s sunset from your private terrace. Lake Manyara is located both in Arusha Region and Manyara Region on your way to Ngorongoro – in Northern Tanzania. The majority of the land area of the park is a narrow strip running between the Gregory Rift wall to the west and Lake Manyara, an alkaline or soda-lake, to the east. It covers 330 square kilometers of land, 200 square kilometers of lake and moreover mostly famous for the pink flamingos. You find them in flocks of thousands during the wet season. The park inhabits over 400 birds species throughout the year and other animals. You can reach Lake Manyara, or also Tanzania’s home of Flamingos by road from Arusha or by plane. On the eastern edge of Lake Manyara lies a place of unending loveliness, luxurious without being lavish. You arrive and immediately feel an affinity with the space, the silence, the serenity. Moreover you feel the echoes of a vintage safari lodge as urban stresses melt away. Nowhere does the property impose, but rather blends in with the unfenced wilderness that stretches on all sides. This exclusive safari retreat rests on the far western border of a exclusive wildlife concession. This concession forms part of the Burunge Wildlife Management Area that runs between Lake Manyara and wildlife-rich Tarangire National Park. Situated in the ecosystem of Lake Manyara, in fields of golden vegetation, Maramboi Tented Camp has an outstanding location. Just a short drive to Tarangire Main Gate it is the exceptional location for a stay close to both national-parks, Lake Manyara and Tarangire. The wildlife of Manyara is literally on your doorsteps and makes your stay unforgettable. Located on the hills of the Great Rift Valley is Karatu the perfect place for your safaris in Tanzania’s 3 major parks – Ngorongoro Crater, Lake Manyara and Tarangire. If you are on your way to Ngorongoro Crater or if you are coming back from Serengeti – the convenient but also beautiful location invites for a stay over night. The Manor at Ngorongoro, located in Karatu has 9 luxurious cottages with 18 suites, a family cottage, and magnificent main Manor House. It is truly one of the leading properties in Karatu and combines Afro-European architecture and decor. The huge property within a 1500-acre Arabica coffee estate, typical for this region of Tanzania, reminds the guests of an elegant up-country farm home in the Cape Dutch-style of architecture. 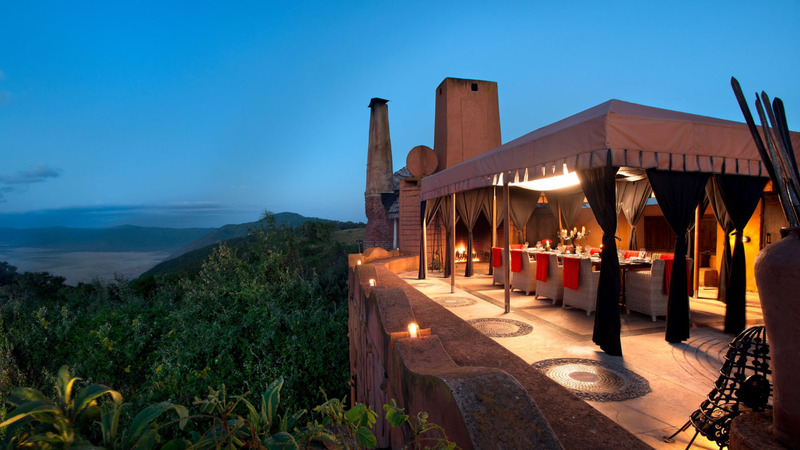 Amidst the red-brown hills so typical for East Africa, you will find The Plantation Lodge. Surely a green oasis, that offers the perfect mix of comfort and sense of well-being. Individually designed rooms and luxury suites today accommodate the guests on the property that was once a farm. Moreover the lodge itself is a real gem. With the personal touch of the owner, it is grown on an incredible piece of land. The gardens are full of trees and coffee plantation – definitely a real oasis to rest from your exciting game drives. It is a Conservation Area, UNESCO World Heritage Site and one of the Seven Natural Wonders of Africa, 180 kilometers west of Arusha. Ngorongoro Crater is mostly famous for being the world’s largest, inactive, intact and unfilled volcanic caldera. The crater is also a unique safari attraction, because it is the only conservation area in Tanzania that protects wildlife while allowing human habitation. Moreover it is home to more than 30,000 animals including the rare black rhino, East African wild dogs and leopards. The Conservation Area protects also Olduvai Gorge, in the plains area. Scientists consider it as the seat of humanity after the discovery of the earliest known specimens of the human genus. Olduvai Gorge is one of the most important prehistoric sites in the world, a part of Tanzania. Ngorongoro is reachable by plane and by car from Arusha in about 3 hours. The Ngorongoro Crater in Northern Tanzania, once a gigantic volcano, is the largest unbroken caldera in the world. Most likely that it was before its erruption higher than Mt Kilimanjaro, the highest peak in Africa. However it is now an extensive highland area with the famous 600 m deep Ngorongoro Crater as its focal point. Nearly three million years old, the ancient caldera shelters one of the most beautiful wildlife havens on earth. 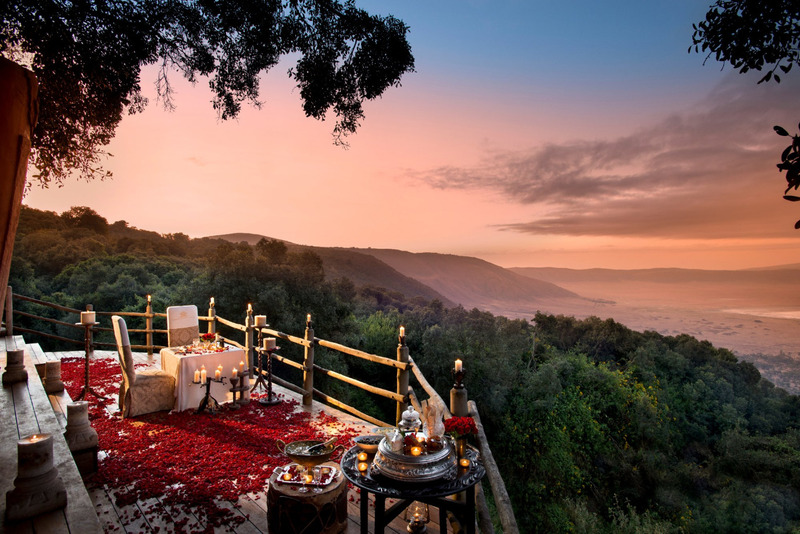 &Beyond Ngorongoro Crater Lodge has been called the game lodge at the top of the world because of its extraordinary location. Divided into three camps, 30 stilted suites with banana leaf ceilings and grass roofs provide an intimate and exclusive Crater experience. Each camp has its own sitting and dining areas, with private butlers who provide warm, personal service. An eclectic blend of elegant teak paneling, Victorian furnishings and whimsical African touches creates a sumptuous atmosphere that is as elegant and unique as the Crater itself. 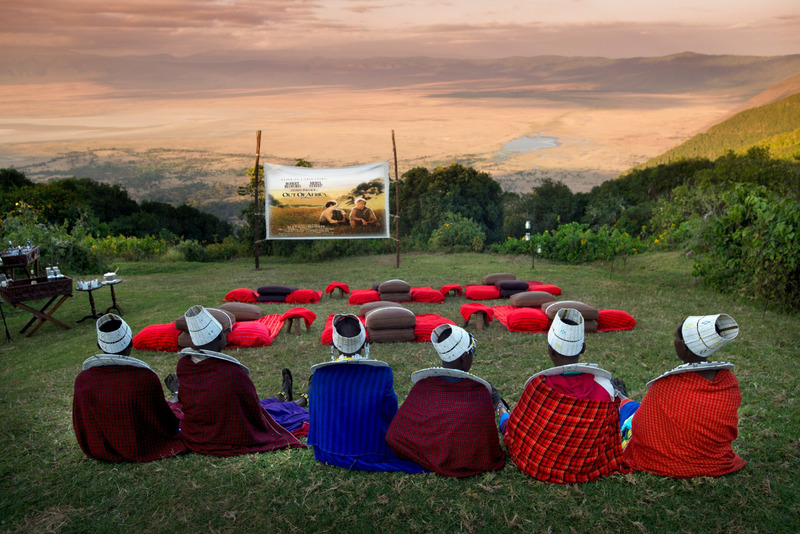 The Highlands from Asilia redefines the traditional Ngorongoro safari experience. The camp is set high on the slopes of the Olmoti volcano, with views all the way to Tanzanian’s Serengeti. Moreover you can be on the famous Ngorongoro Crater floor at dawn yet far from any other camp. 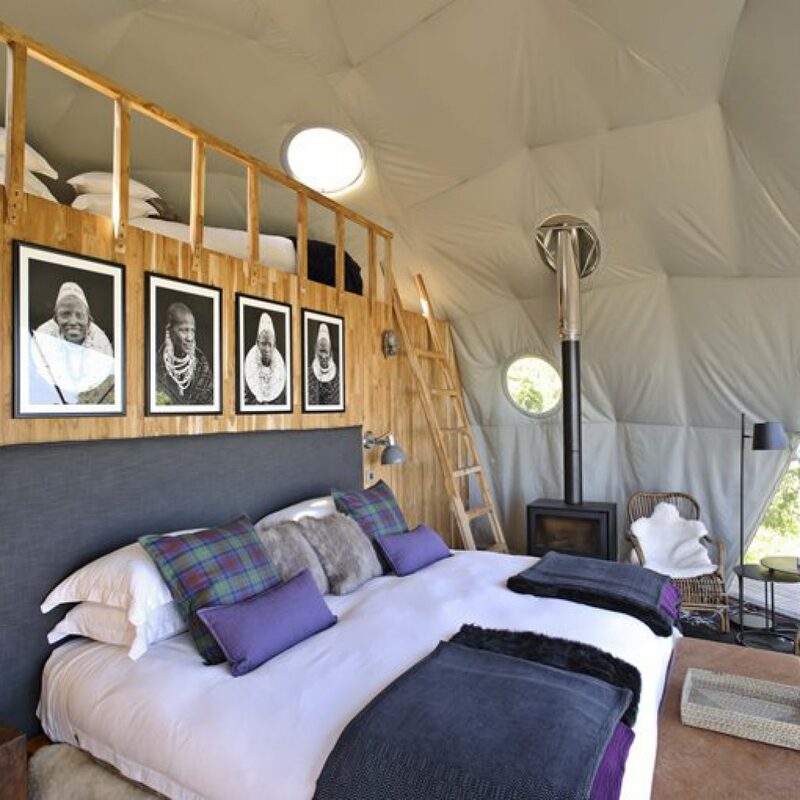 This warm and stylish high-altitude camp, deliberately positioned deep in the highland wilderness for maximum privacy, offers a richness of adventure and range of activities not possible elsewhere in Ngorongoro. You want to experience the culture of Massais combined with an outstanding view? You must come and stay here, or in other words come and experience Tanzania at its glance. Words cannot describe! Serengeti is in north-western of Tanzania, with borders in the north to Kenya and in southeast to the Ngorongoro Conservation. It covers 14,750 square kilometers of grassland plains, savanna, riverine forest, and woodlands. It is famous for its annual migration of over 1.5 million white bearded wildebeest and 250,000 zebras. Serengeti is also known for having the largest population of lions in Africa and for its resident wildlife, particularly the ‘Big Five’. It is home to Thomson’s and Grant’s gazelles, wildebeests, topis, elands, water bucks, spotted hyenas, striped hyenas. Furthermore to mention are baboons, impala, East African wild dogs, Maasai giraffes and many other wild animals. It boasts about 500 bird species, including ostriches, secretary birds, crowned cranes, and many species of vultures. Serengeti is reachable by plane from Arusha in around 40 minutes or by car from Arusha, which takes around 7-8 hours. Meaning ‘endless plains’ in the Maasai language, the Serengeti is undoubtedly one of the world’s most celebrated wilderness areas. Lemala Nanyukie is the perfect base for your safari, as it is only a 45-minute drive east of the Seronera Airstrip in the park’s central region. Surely it is superbly located with outstanding views across these fascinating ‘endless plains’. However the camp itself sits on a grassy savanna dotted with rocky kopjes and shaded by ancient giant acacia trees. With canvas walls, cathedral-like tented ceilings and broad hardwood decks, guests at Lemala Nanyukie can expect a light contemporary decor in a palette of dazzling whites and neutral colors, with warmth introduced by textured accessories, luxurious upholstery, wooden furnishings, and well-executed lighting. Its 15 luxurious guest tents with oversized bed, spacious lounge, and generous bathroom with double vanity, shower and free-standing bathtub. Moreover the delightful wooden deck has sunken seating. While you enjoy the nature in your outdoor shower and stunning corner plunge pool with views directly in the magnificent grasslands. Come and experience another lodge of the new generation during your safari adventure. Just a 45 minutes ride from the airstrip Seronera in central Serengeti is this beautiful lodge located. You will experience Four Seasons Signature throughout the property. The waterhole in front of the terrace brings the wildlife right in front of your breakfast table. Visit the museum in the main building, which brings together a lot of treasure from historical scientist and animal lovers in Serengeti. To experience the Massai culture enjoy a diner in the boma restaurant of Four Seasons. 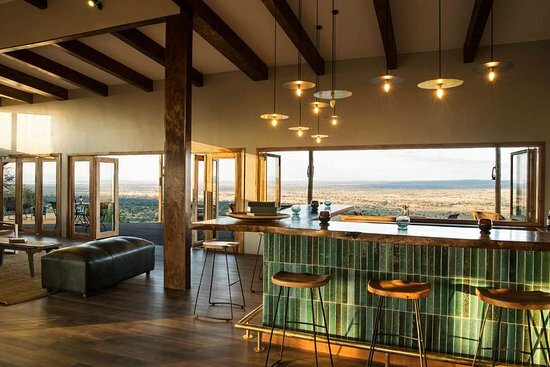 This property combines the luxury of a Four Seasons with the wildlife of Africa’s famous national park – Serengeti. We were so lucky and are allowed to call this fantastic site ours. Interesting points, such as The famous Hippo pool, the Serengeti Research Center and the departure point for balloon Safaris are also conveniently close by. Guest will find out it’s also only six kilometers east of Seronera Airstrip and only one hour from Nabi Gate of Serengeti. It is the largest in Tanzania and covers 20,226 square kilometers. Great Ruaha River flows along the south-eastern margins and gave the name to this national park in Central Tanzania. Furthermore is the river a very famous game-viewing spot for your safari in the Southern Circuit. Ruaha is home to a large elephant population and over 500 bird species. Visitors find cheetahs, leopards, lions, African wild dogs, giraffes, hippopotami, Cape buffaloes, sable antelopes and many other wild animals. You can reach Ruaha by car on a dirt road from Iringa in approximately 2 hours and by plane from Selous or Arusha. Selous Game Reserve is the largest game reserve in Tanzania and located in the South. It is one of the largest animal reserves in the world – covering 54,600 square kilometers. Sir Frederick Selous, a famous big game hunter and early conservationist, is the name giver to the Reserve. He died at Beho Beho in 1917, while fighting against the Germans during World War I. UNESCO designated the Game Reserve as a World Heritage Site back in 1982 due to its diverse wildlife and undisturbed nature. Although the total wildlife population is high, the reserve is large. Hence the density of animals is lower than in Northern Circuit of Tanzania. Interesting places for your safari include the Rufiji River, which flows into the Indian Ocean. Furthermore Stiegler Gorge, which is a canyon of 100 meters depth and 100 meters width. There are daily flights from Arusha, Dar Es Salaam or Zanzibar to Selous. The property is hidden among dense forest and on the banks of the Rufiji River. Selous Riverside Safari Camp provides the most breathtaking view as dawn arises and your adventure is about to begin. 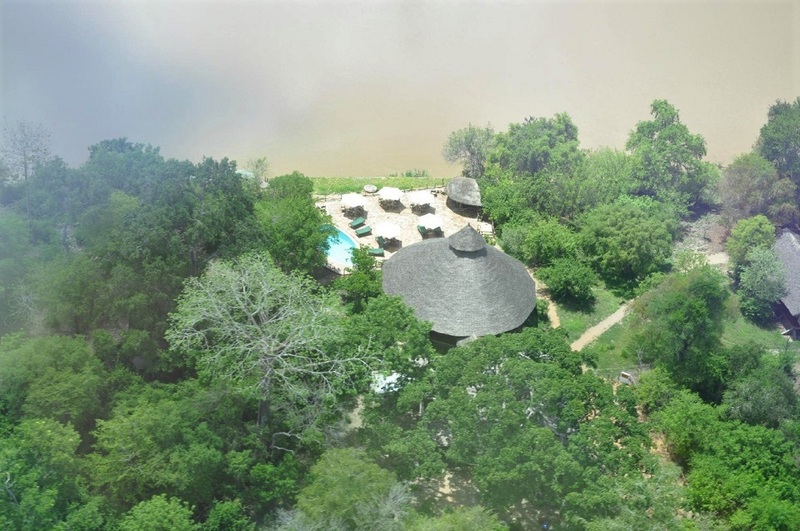 Overlooking the Rufiji River, Selous Riverside Safari Camp consists of ten of the most largest tented chalets in Selous. Its spacious tents have been carefully placed to provide privacy and blend into the nature’s surrounding. And all of them are overlooking the Rufiji River and its hippos and crocodiles. Take your diner on the deck with the most sumptuous of Tanzania’s cuisine. 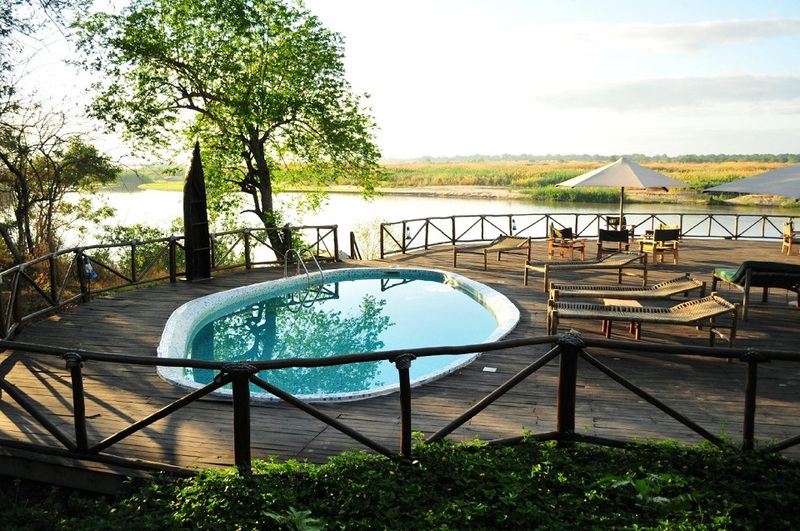 Your sun downer you will take on a boat safari full of birds, hippos and other animals living along the river.